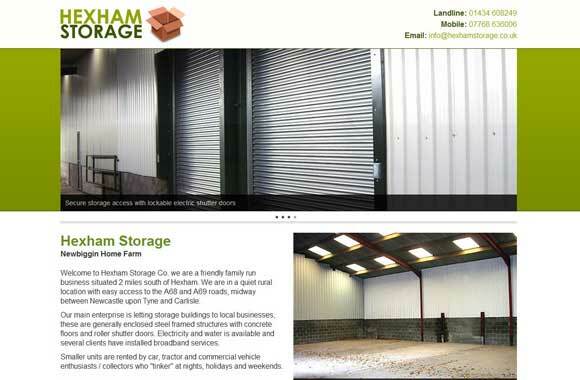 Welcome to Hexham Storage Co. we are a friendly family run business situated 2 miles south of Hexham. We are in a quiet rural location with easy access to the A68 and A69 roads, midway between Newcastle upon Tyne and Carlisle. 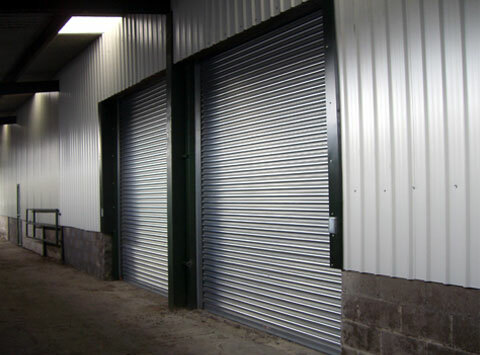 Our main enterprise is letting storage buildings to local businesses, these are generally enclosed steel framed structures with concrete floors and roller shutter doors. Electricity and water is available and several clients have installed broadband services. Smaller units are rented by car, tractor and commercial vehicle enthusiasts / collectors who "tinker" at nights, holidays and weekends. Some buildings are available for caravan/ motor home/ boat/ horsebox storage. Security is important, the owners live on site, stored items are out of sight of passing traffic and a CCTV system covers the area. The entrance to two 600sqft, 14ft high units that include mains services. Short term lets for house moves. 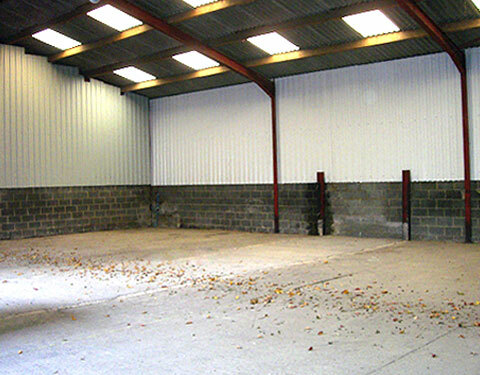 Large storage unit 6003 sq.ft with attached workshop. 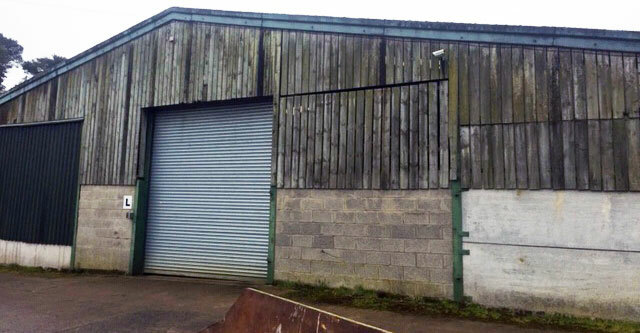 16 ft to eves, 15 ft electric roller door.